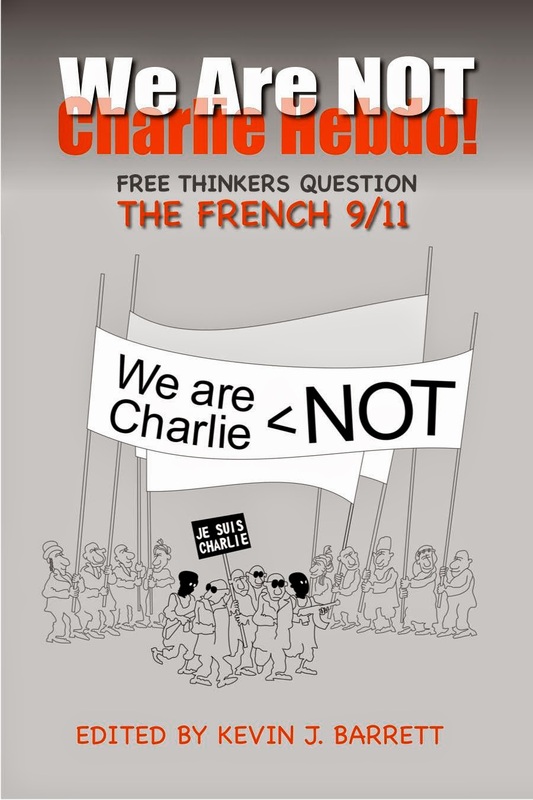 The new book We Are NOT Charlie Hebdo (discussed in the above interview) ends with a list of key suspects in the apparent false-flag operation. One of them, Jeannette Bougrab, is a “key suspect” in more ways than one. In the article below, veteran investigative journalist Hicham Hamza reveals that Bougrab apparently got hold of the key to the apartment of Charb, the slain Charlie Hebdo editor, on the night of the attacks. Shortly thereafter, the apartment was ransacked. Bougrab later lied and claimed she never had the key. Could this be the key that unlocks the Charlie Hebdo mystery? On the very night of the Charlie Hebdo attacks, as Bougrab was preparing to ransack Charb’s apartment and remove incriminating evidence, police investigator Helric Fredou was suicided for discovering explosive information about Bougrab’s background and relationship with Charb – information apparently obtained in part from Bougrab’s mother . . . who suddenly died a little over a week ago, after exhibiting “guilty demeanor” when contacted by Hamza. So what’s the big mystery? What hot items were removed from Charb’s apartment by Bougrab and accomplices? What information was so sensational it led to the suiciding of Fredou and the possible murder of Bougrab’s mother? And why did Bougrab suddenly show up after the Charlie Hebdo shooting claiming she was Charb’s intimate companion – a claim rejected by Charb’s friends and family? Allow me to sketch an “alternative scenario.” French sources are coy about stating it directly, in public and for the record. They are concerned about harassment, legal and worse. The Sarkozy-Netanyahu network to which Bougrab belongs will sue you in a heartbeat and press charges if you look at them cross-eyed. Leading French figures who are au courant to the Charlie Hebdo inside job, people like Alain Soral and Dieudonné, face a non-stop battle against malicious prosecutions and persecutions from the usual suspects. And the legal battle isn’t necessarily the worst of it. Recall that leading French political figure Jean Marie Le Pen was beaten, and his house set on fire, one week after he announced that the Charlie Hebdo attacks were a false flag pulled off with the complicity of the French secret services. And recall that Hamza, whose investigative journalism has been exposing the Charlie Hebdo false flag operation, was recently stricken by health problems that, to informed observers, looked like a likely case of poisoning. So I don’t blame my French sources for soft-pedaling their accusations and stopping short of laying out the alternative scenario in broad daylight. But here at VT, an ocean away, we can call a spade a spade, a crook a crook, and a conspiracy a conspiracy. Charb, editor of the failing and bankrupt Charlie Hebdo magazine, was approached several years ago by Bougrab, a known operative of the Sarkozy-Netanyahu network. Bougrab made Charb an offer he couldn’t refuse: Attack Islam and Muslims in the most extreme, blasphemous, pornographic, ultra-offensive way imaginable, and we will take care of your financial problems and then some. To create a cover story, Bougrab and her handlers set up the legend of an “intimate relationship” between Bougrab and Charb. They could meet for money transfers, or even share a joint bank account, without raising eyebrows. And thus was the financially non-viable Charlie Hebdo magazine set up for the huge false flag operation last January 7th … leading to a five-million-copy print run that more than recouped the money that Bougrab’s controllers had funneled into Charlie Hebdo over the past several years. INFO PANAMZA. 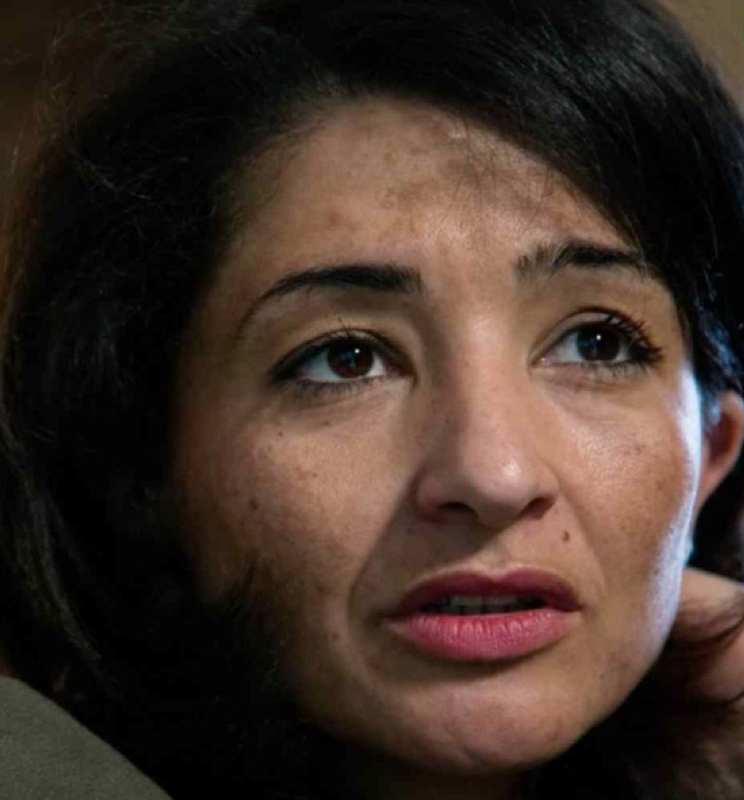 Testimony collected by the police contradicts a statement by Jeannette Bougrab about her access to Charb’s burgled apartment. 1. The real girlfriend of assassinated Charlie Hebdo editor Charb was – from March 2011 until the “last two nights” spent together – a certain “Valerie M” (her initials had previously been reported by Panamza). 2. Patrick Pelloux, newspaper columnist and close friend of Charb, had never heard of Jeannette Bougrab from Charb or anyone close to him. 3. Charb’s apartment was burglarized, “excavated”, and “ransacked” in the days that followed the attack on January 7th. 4. Jeannette Bougrab, Charb’s self-proclaimed girlfriend-companion, had obtained the keys to his apartment with Charb’s parents and Michel and Denise Charbonnier on the evening of January 7th. 2. Or else Jeannette Bougrab has uttered a falsehood in categorically stating that she “never” had the key. Why would Bougrab want to conceal the fact that she had access to the home of Charb in the days following the disaster? The plot thickens. Another fact, rightly pointed out by Closer, now seems assured: contrary to what Bougrab says in her book, Pelloux did not know of any “relationship” between Bougrab and Charb. Here again, considering the coldness (tinted with the formal vous) displayed by Pelloux against Bougrab two days later on the set of the Grand Journal show on Canal + , it seems reasonable to deduce that Bougrab reinvents history as she pleases. So who burglarized Charb’s apartment the day after the attack? And what did they take? Why did Bougrabe, a flaming Zionist and radical Islamophobe of the Sarkozy-Valls-Netanyahu network, lie about having access to Charb’s domicile? What did she do there as soon as she got hold of the keys from the (trusting? naive? abused?) parents of Charb? To this mess, we must add a new episode: the sudden disappearance of a key witness in the Charlie case. Her name : Zohra Bougrab. The death of Jeannette’s mother, stricken by pancreatic cancer, was announced by Le Figaro and La Nouvelle République on the morning of June 4th, at the same moment Closer (with its story proving Jeannette a liar -KB) appeared on the magazine stands. Her death would have occurred a few hours earlier on Tuesday, June 2nd. That day, Jeannette Bougrab was staying at Manos, a five star hotel in Brussels, for a series of promotional interviews about her book (RTBF , l’Avenir, Terzake, RTL), in the wake of her comfortable interviews granted to French media (On n’est pas couché, RMC, BFM TV , C à vous, and France 3, among others). Friday, June 5th, at St. Stephen Deols church, the funeral of Zohra Bougrab was held in the presence of Denise Charbonnier. Unlike Denise’s son Laurent, who was behind the categorical denial of the “emotional connection” (between Charb and Bougrab) sent to AFP, Charb’s mother seems to maintain cordial or even benevolent relations towards the woman who claims to have been the companion of her son. Jeannette, May at Zohra Bougrab, summer 2014. In the right background : a drawing by Charb representing Patrick Buisson, intimate friend of Jeannette Bougrab. Curiously, if Jeannette Bougrab did not forget to “dedicate” the film to her mother and to thank many friends ( including producer Michael Fribourg, former assistant to minister Eric Besson and now financier), she made no mention whatsoever, ​​in the end credits, to the man she would claim, a month later, to have been ” the man of her life.” No name, last name, nickname, or even vague allusion to Charb. In what sense precisely was Jeannette’s late mother Zohra Bougrab a crucial but little-known witness in the Charlie Hebdo case? Helric Fredou was found with a bullet in the head while he was supposed to be writing his report, shortly after making an urgent phone call about the Bougrabs’ debriefing. “It’s not my business, all that stuff, goodbye.” Such was the terse telephone statement, as already mentioned by Panamza, from the late Zohra Bougrab to this author. On Sunday, June 7th, Chantal Fredou, the mother of Helric Fredou, brooded over the grave of her son, whose father’s father was also a policeman. Five months after the suspicious “suicide,” she continues to question the circumstances surrounding the sudden death of Helric, who would have celebrated his 45th birthday on April 25th. Contacted by Panamza, she stated that no information regarding the police internal investigation, officially still ongoing, has yet been communicated. Also note that Bernard Cazeneuve, Minister of the Interior, who knew Helric Fredou well, has still not answered the parliamentary question submitted ​​on January 27th by the Socialist deputy Christophe Premat about this disturbing death. Obviously the Charlie Hebdo case has not yet revealed all its secrets. Bougrab’s real role, it appears, was to funnel money into the failing, long-since-bankrupt Charlie Hebdo magazine. In return for the money that kept his magazine alive, Charb agreed to publish a barrage of ultra-obscene attacks on Islam. To facilitate the money transfers, Bougrab and Charb pretended to have a romantic relationship. And thus was the financially non-viable Charlie Hebdo magazine, as philosopher Alain Soral suggested in his contribution to We Are NOT Charlie Hebdo, stuffed with money “like a goose stuffed for foie gras.” It was all a set-up for the slaughter of the goose – the false flag operation of last January 7th. On Wednesday more evidence against Bougrab surfaced: Closer magazine published an article headlined: “Patrick Pelloux accuses Jeannette Bougrab of ‘stripping bare’ Charb’s apartment.” Pelloux, a close friend of Charb, is one of many Charb intimates screaming from the rafters that Bougrab has been lying when she claims that she was Charb’s girlfriend. (Most of Charb’s family is saying the same thing.) Now Pelloux has gone one step further, charging Bougrab with obtaining Charb’s key on false pretenses after his death and stripping Charb’s apartment…of what? Of evidence implicating the perpetrators of the Charlie Hebdo false flag, one surmises. Pelloux didn’t just say this to journalists. His charges against Bougrab came in testimony at an official inquest. Bougrab’s destruction of evidence clearly constitutes what in US law would be termed “obstruction of justice.” One wonders whether Zionist-freemasonic infiltrators will be able to prevent the French police from launching an investigation and filing criminal charges. But any police who do so had better watch their backs. Their slain comrade, police investigator Helric Fredou, was excitedly looking into the phony Charb-Bougrab “relationship” on the late night of January 7th when he suddenly turned up “suicided” in his own office. So who is Jeannette Bougrab, and why would she volunteer for the role of “black widow” in the Charlie Hebdo false flag op? Like her bosses Sarkozy and Netanyahu, Bougrab hates Islam with genocidal fury. That explains her willingness to participate in elaborate deceptions designed to convince the West to wage war on Islam for Israel. Bougrab’s participation in the current anti-Islam genocide, which has taken the lives of more than a million Muslims since the 9/11 hoax, carries on a family tradition. She hails from a notorious Algerian family of traitors who helped the French murder more than one million Algerian Muslims during the Algerian Revolution. Her Islamophobic campaigns, including her participation in Netanyahu’s false flag terror network (the same folks who brought you 9/11) are a continuation of her family’s genocidal war against their own people. Will the French people rise up and demand the truth about what happened to Charlie Hebdo? If they do, the guillotine may come back into fashion, and Jeannette Bougrab will be in serious trouble. 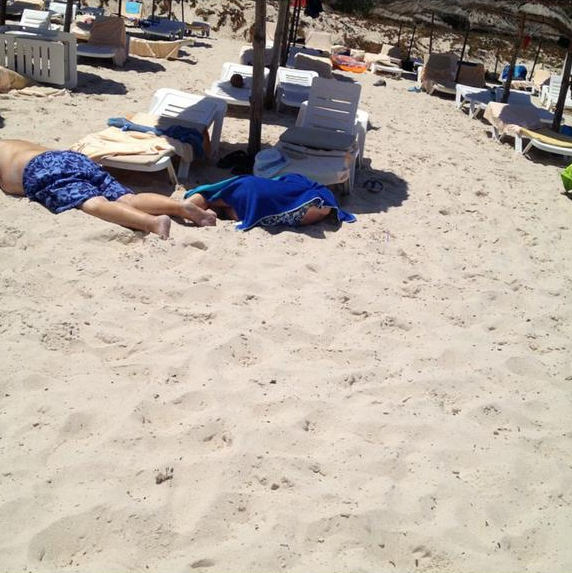 AD note: All this in France going on involving Charlie Hebdo and now 39 Tunisians are reported killed on a beach in Tunisia. Unless people need a reminder, Tunisia is practically ruled by French intelligence. No, this has nothing to do with Greek debt does it, and we’re not conspiracy nuts either? 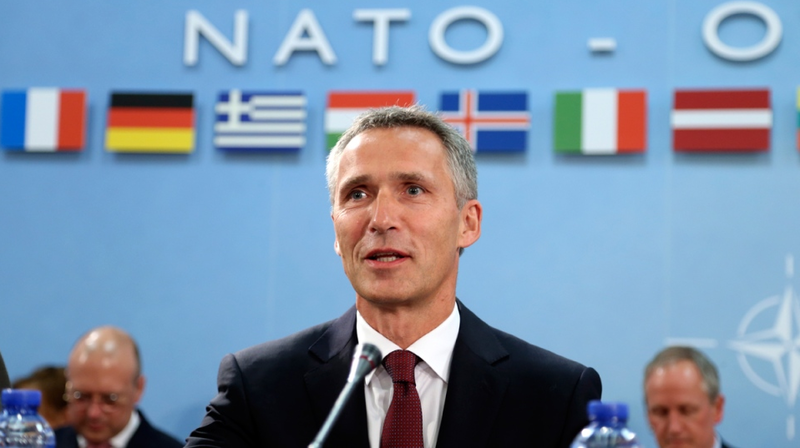 And remember that Greek F-16 jet that crashed last January, 2015 in Spain, it’s one big happy NATO family now isn’t it? If Greek leaves the EU that probably would mean Ukraine would be right behind Greece. NATO family? From the reports that were read, “some 500 are expected in Djerba for the two-day religious festival from France, Israel, Italy and Britain, according to the organizers.” From France? Saint-Quentin-Fallavier which left one person killed and two injured. The victim was reported to have been beheaded at the gate of the site. “It is a terror attack, there is no doubt about that,” he said in a statement. The first pictures from the factory are filtering through – they show a large police presence along with other emergency services. 11:34 SUSPECT ‘KNOWN TO INTELLIGENCE SERVICES‘ The AFP news agency is reporting that the suspected attacker was already known to French intelligence services. They add that the police are investigating whether he had an accomplice. 11:24 HOLLANDE TO ISSUE STATEMENT French President Francois Hollande is due to make a statement from the EU Summit in Brussels in the next few minutes. We understand he will then leave the meeting to return to France. 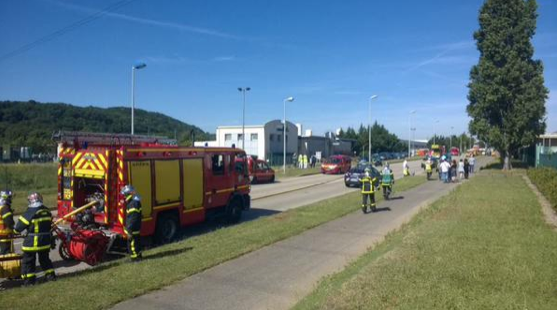 One person has been decapitated and another injured in the attack on a gas factory in south-eastern France. An Islamist flag was found at the scene, according to French media Interior Minister Bernard Cazeneuve is said to be on his way to the scene. Then to round off our terrorist filled days, a Shiite mosque in Kuwait is bombed killing an alleged 27 people. All these shootings and terrorist bombings despite all these countries spending billions on security? And we put all this together coupling it to the Greek financial crisis what possibly might we come up with? Why of course. GLADIO. Well its fake alright because The late Zohra Bougrab, Jeannette's mother just popped up as one who died in the latest scam , the othewr woman was also in another fake attack in the uk news weeks ago http://www.bbc.com/news/uk-33299523 She stands out like a sore thumb and this blog is the 1st to notice .